Deadpool 2 is such a fun time at the movie theater! I haven't laughed this much with a movie since well...probably the first Deadpool! Like with Robert Downey Jr, Ryan Reynolds is a perfect casting choice for his superhero character, especially because he's pretty much playing himself. Reynolds' signature witty, quick humor is once again at maximum effort in this sequel, along with fourth-wall breaks to make fun of the movie itself, the whole superhero genre, and Reynolds himself. This franchise's strength is how fresh it feels by not taking itself seriously at all. This time that comedy is paired with new director David Leith's great control for amazing action. I found myself comparing this franchise with that of the MCU's Guardians of the Galaxy: the first was a fresh, original, and fun surprise hit that became one of the best superhero movies of all time (easily an A); and the sequel was a fun follow-up that was even funnier than the first, but had a weaker plot with the the comedy at times not letting the emotional moments be savored enough (B+). 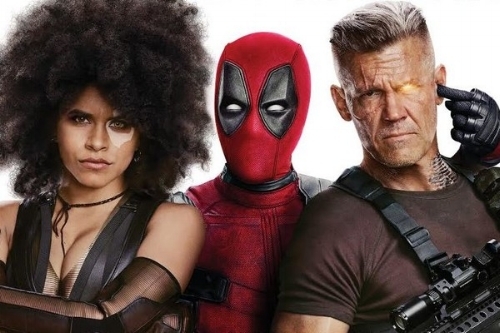 Deadpool 2's plot is slightly light and fast. This ends up weakening the antagonist forces of the movie as well as certain character motivations, especially the new characters. Still this weakness does not affect the movie greatly and it's overall a very VERY fun time. Plus no spoilers, but it easily has my favorite post credit scene OF ALL TIME. Just brilliant! As mentioned above, I'd give this a Fresnerd B+. I'm definitely hoping to have some laughs at the theater again with this one.